there are so many fun traditions swirling around this time of year… we are halfway through spring and headed straight towards summer. and, here in sweden, that is serious business. the last of april (sista april) is a day that takes all of that excitement about spring and life and warmth and growth and light, and calls for bbqs, bonfires, music, champagne, and outdoor fun, including letting animals out to pasture again. it is a day, especially in uppsala (where i live), where the celebration begins early in the morning on the last day of april and continues on into the first day of may, a national holiday in sweden. but, why the last of april? where did this tradition come from? ultimately, in the northern hemisphere, this is the time of year when mother earth opens up and brings new life all around. that’s the basis of this entire celebration. a pagan, hedonistic, ancient day of celebrating the desire to leave winter completely behind, including turning away evil spirits, and welcoming the warmth + light + new life of the spring and summer months. 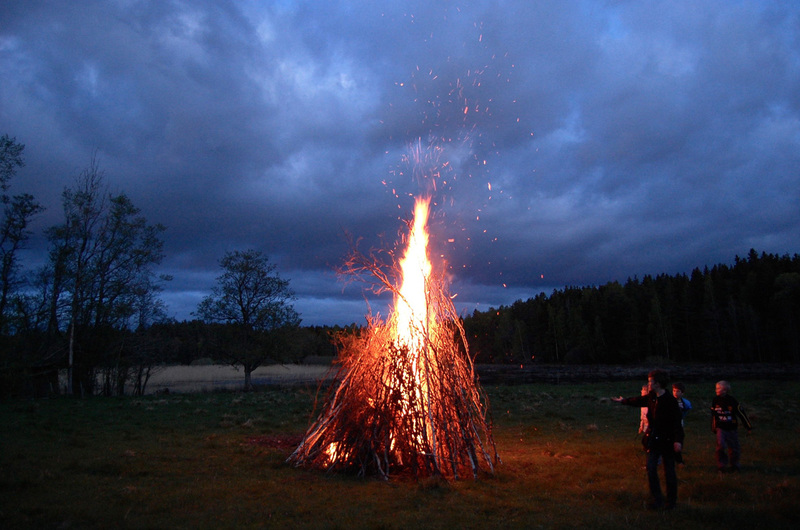 the other name for the last of april is valborg, which comes from the name of saint walpurga, a woman who left england to become a missionary nun in germany in the 700s. may 1st is her saints day. christians took the former pagan festival of the celebration of spring, and turned it into a celebration of st. walpurga. however, valborg in sweden has very little to do with religion, and everything to do with the arrival of spring. and, this is not a private, family celebration like christmas or easter, mind you. no, this is a very, very public event. whole towns and cities gather together outside to celebrate as a community. and the biggest community celebration is found in uppsala. lucky me! yes, the largest and most traditional valborg celebration is found right here where i live. the celebration begins early in the morning with a breakfast of champagne + strawberries, and ends late at night. in between, all day long, there are tons of traditions and thousands of people. it is estimated that about 10,000 extra visitors will make their way to uppsala on the last day of april to take part in this gigantic celebration of spring. that’s insane! basically, it’s gonna be wall to wall people all over the city, especially in parks. on blankets. having bbqs and drinking massive amounts of alcohol. the city has even ordered 62,400 bottles of water – encouraging everyone to drink a bottle of water in-between drinks. serious business, huh? this year also marks the 40th anniversary of a rafting competition in the river that runs through the middle of the city. the rafts have to be handmade, therefore they are rickety, funny, and quite easily torn apart, i imagine. i’ve never seen the rafting race, so i hope to make it down there this year! there are free concerts, with choirs singing very traditional spring songs, a speech by the university’s president from the balcony of the library (where thousands of people gather), and a champagne run. later in the evening, outside of the city there are big bonfires and more songs. so, the whole day is just one, big, crazy celebration. i am most definitely looking forward to celebrating my 2nd valborg in uppsala, my 4th in sweden. the last time i was in uppsala, i was deathly ill with some sort of stomach virus, so i missed out on most everything. i stayed curled up in the fetal position with a bucket beside my bed in the guest room at lina’s brother’s apartment. from my little cot, i listened to everyone in the living room, partying and having fun. poor me, right? but, this year, i’m all ready! 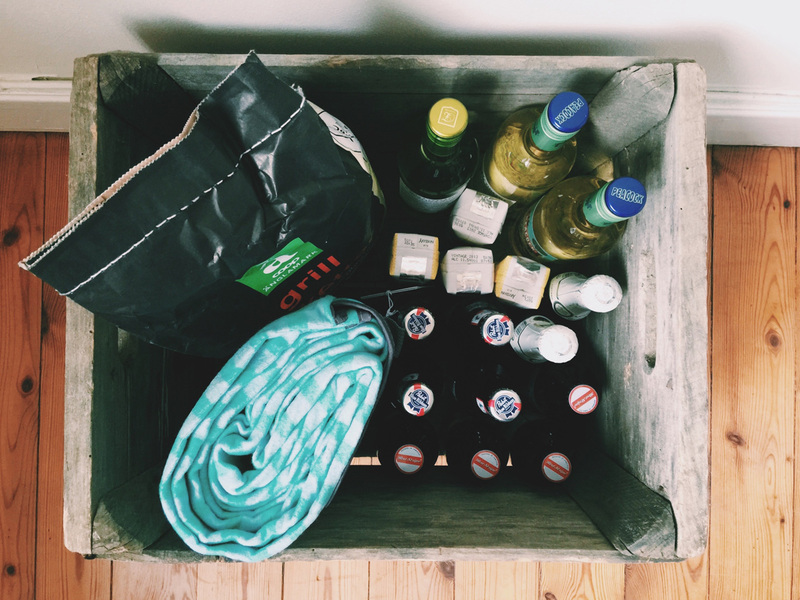 we’ve got our champagne and wine chilling, our grill + picnic blanket all ready, and we can’t wait to celebrate the magical, life-giving, beautiful spring + summer in sweden. now, let’s just keep our fingers crossed (and hold our thumbs) for good weather tomorrow! have a great (and safe) last day of april! and, join in the celebrations wherever you are – celebrate spring or autumn. either way, the seasons are moving forward, and the amazing cycle of life continues. how freaking awesome is it that we get to be a part of that? i’ll check back in over the weekend + share some photos. after recovering from the celebrations, of course. wink. wink. My mother always had a great fondness for spring. Although I never heard her mention the word “Valborg” I’m sure he would have recognized it. It makes wonder about all the parts of her that I’ll never know that were connected to her life in Sweden. I can’t help but cry a little as I write this. Mother’s Day in the US is next weekend and I miss her so very much! Thanks for all your posts and photos. Wishing you both all the best, in all ways, and always. Oh, Julia, you have touched my heart deeply with this comment. I wish you peace and love through the tears. Sending you all the best too.